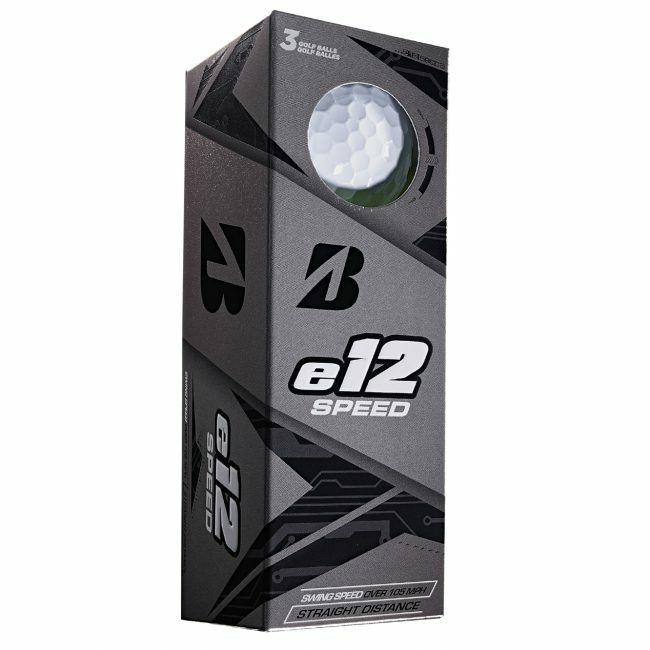 The e12 SPEED utilises Bridgestone’s patented Delta Wing Dimple pattern for less drag and smoother airflow when the ball is in flight. The enhanced aerodynamics increase the straight distance properties of e12 SOFT. Distance Performance class, 3-piece surlyn golf ball that delivers sidespin reducing performance, with explosive distance off the tee with a solid feel. Bridgestone’s proprietary new Active Acceleration Mantle layer is a key component of the 3-piece construction. 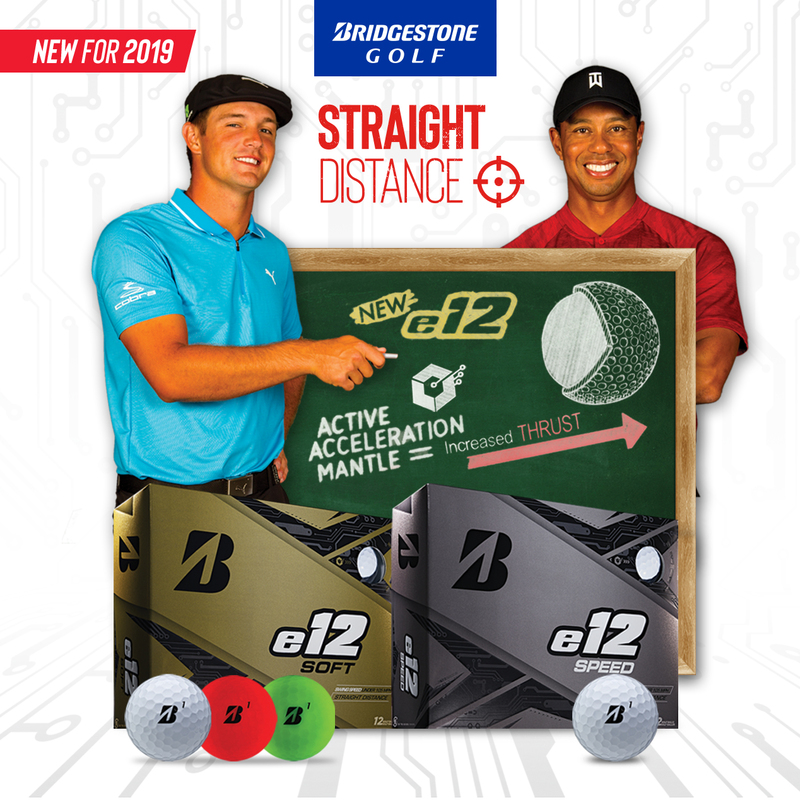 The Active Acceleration Mantle is comprised of a new High Performance Polymer material that provides increased thrust and higher initial velocity at impact, while allowing Bridgestone to enhance the core for greater forgiveness and enhanced feel. 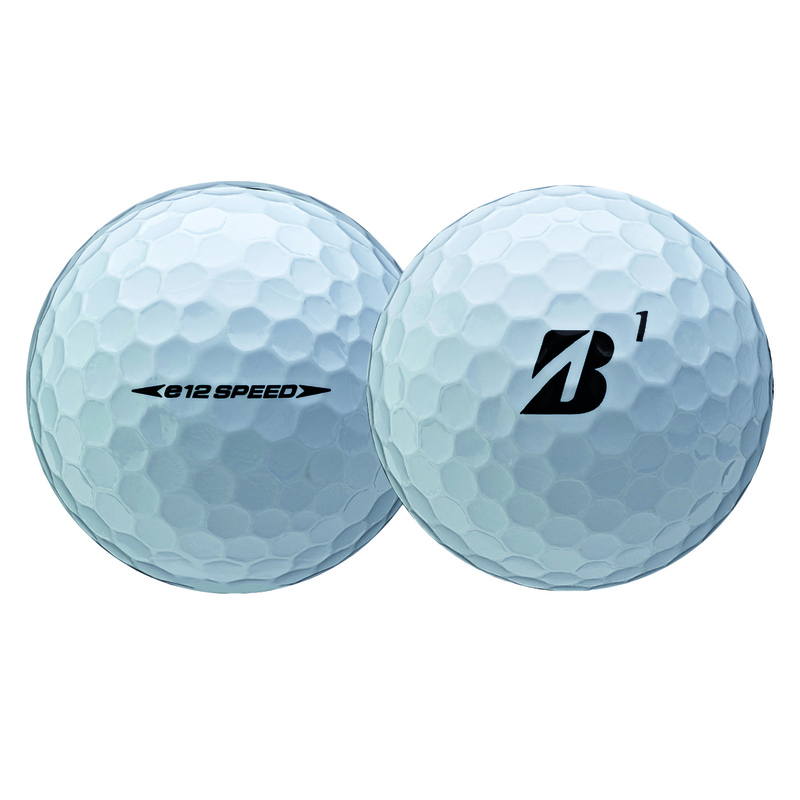 Designed specifically for players with greater than 105 MPH driver swing speeds. 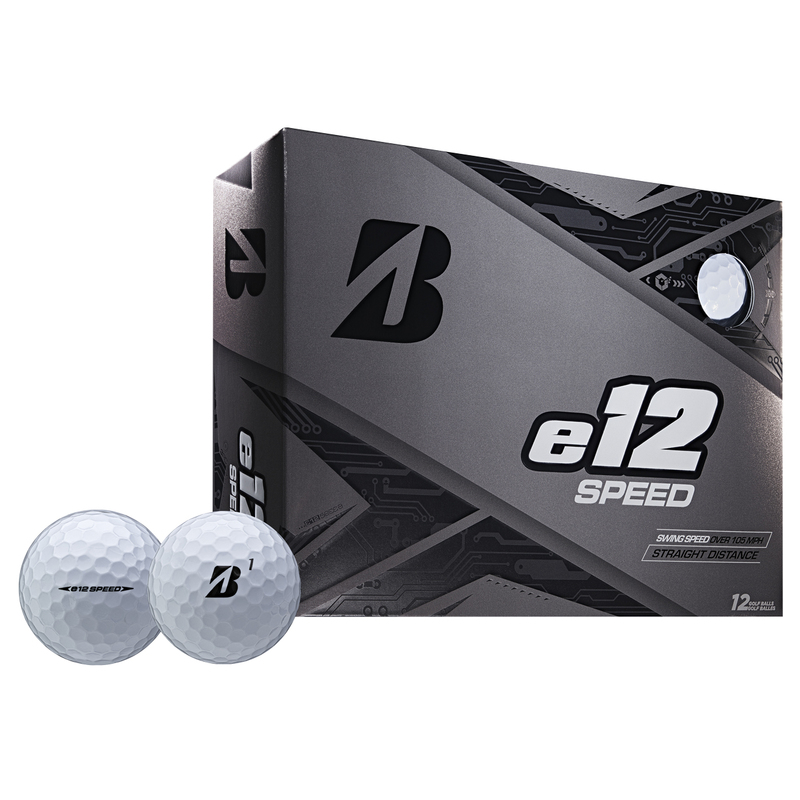 The e12 SPEED utilises Bridgestone’s Delta Wing Dimple pattern for less drag and optimised aerodynamics in the cover. Buy direct from our online partners.